Technological innovation is increasingly penetrating the world, and its implementation has the potential to bring a change in the learning organization and pedagogical approach; therefore, it is vital to understand where technology can alleviate problems and not be a hindrance or a gadget. Change factors in the knowledge dynamic today are on the one hand the passage from individual knowledge to global knowledge, with multi-user connections, but without losing the subjective prospective, and on the other hand, the passage from a received multimediality (such as television and cinema) to an interactive multimediality (such as videogames or virtual reality), to a built multimediality (such as socialnetworking knowledge management tool), up to a reflective multimediality (dynamic, intelligent, and semantic UI). 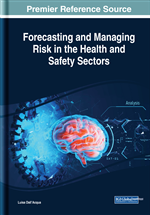 This chapter has the purpose to describe possible benefits or risks, barriers or precautions, using effective technologies in education, resulting from the long history of aware applications. The American acronym ICT (Information and Communication Technologies) identifies the set of technologies that allow the processing and exchange of information, whether textual, visual or sound, in format digital. These technologies have brought about profound changes in society, economically as well as socially. In the space of a generation, the dynamics, methodologies, and channels of information have multiplied, creating difficulties in understanding and inter-generational communication and, consequently, problems in educating young people. Their understanding and expectation of the sciences are mediated by multimedia experiences and by the use of new technologies, which prefer a method that facilitates connections and conceptual jumps. Since the entrance of new technologies in teaching, researchers and teachers have tried to understand how using the computer to teach and have been developed different types of relationships between teacher and student mediated by the machines. The introduction of information and communication technologies cannot be resolved only in the use of the tool, but rather involves an approach to the educational paths that one wants to develop, which has the underlying logic of these new tools. Learning moves in a multidirectional field of information, in a context of a plurality of sensorial stimuli that involve all the senses of the individual (Correlli, 2015). The birth of the Educational Technology can be placed around the early '20s, with the first machines to teach 1. In 1920 Sidney Pressey, a professor of psychology at Ohio State University, tired of correcting hundreds of his students' test papers, invented the first “teaching machine” in history, which presented multiple choice tests and accepted. It was the first milestone in the digital education sector. Then, in the field of studies on communication media, an important contribution came from E. Dale (1946), who became famous for his experience, in which he proposed a classification (with the shape of a cone) of possible learning experiences. Starting from the more concrete ones, placed at the base of the cone, we go back to increasingly abstract experiences up to those based on verbal symbols, placed at the top. The cone of Dale provided the basis for numerous subsequent researches. Cognitivism: It considers learning as an expression of mind in its processes and psycho-dynamic conditions. Teachers/authors are responsible in assisting learners, organizing information in an optimal way to be easily assimilated. “Bring Your Own Device”: It refers to the policy of permitting employees to bring personally owned devices (laptops, tablets, and smart phones) to their workplace, and to use those devices to work or study. Connectivism: It considers the learning as dynamic (from a “learning about, to do and to be” to a “learning to transform”), contextualized, involving, and relevant, result of a complex network of several typologies of nodes, connections, and diversified components, like knowledge, competences, communications, representations, relationships, technologies, and paradigms. Constructivism: It emphasizes the student as being the “active learner,” playing a central role in mediating and managing learning activities. Instruction is a process of supporting knowledge construction, rather than communicating knowledge.